Claude Debussy lived between 1862 and 1918. He is considered to be a impressionistic composer, because he tried to capture the mood of the action instead of the action itself, and was known as the Father of Impressionistic Music. Debussy's work influenced another Impressionistic composer, Maurice Ravel. The French Impressionistic painters like Auguste Renoir were painting at the same time that Debussy was composing and that influenced his music. "Clair de Lune" is a famous example of this as it creates the feeling of rippling water. Debussy liked to create tonal "impressions" rather than conventional melodies. "Rêverie" was one of his first successes, although the critics of the 1890's said things like "strangeness", "dissonance", "ugliness" and "difficulties" about it, missing the fragile loveliness and vague shimmer which were stylistic innovations. Debussy was playing piano and composing by the time he was 12. Lee DeForest was born in 1873 in Council Bluffs, Iowa. We’re sure his parents had big plans for him; but they could never have realized how their son, Lee, would change the world. DeForest seemed to be a born inventor. He held patents for hundreds of different items including the photoelectric cell and the surgical radio knife. But none had as much impact on the world as his invention of the electron tube, specifically the triode, a three element vacuum tube, which later became the audion tube ~~ possibly the most significant invention that made radio possible. Wireless radio broadcasting was unthinkable in the early 1900s and DeForest was considered a fraud. He was arrested for selling stock to underwrite the development of his invention, which no one believed would work. He was forced into selling the rights to his patent to American Telephone and Telegraph for $500,000; considered by most to be foolish of AT&T. The rest is history. Lee DeForest’s 1950 autobiography is called "Father of Radio". 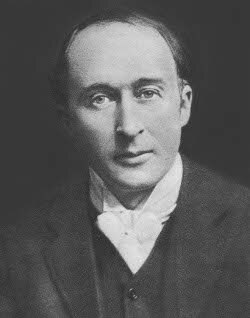 Frederick Delius was born in Bradford, England. His father owned a wool company and hoped that his son would follow a career in business. Delius, however, wanted to study music. In 1884, he left England for Florida, where he worked on a plantation as an orange grower. Delius proved to be a failure as an orange grower, and began supporting himself as a musician. During 1886 - 1887, he composed Florida Suite. Josquin Des Préz was born around 1440 and he died: August 27, 1521 in Condé-sur-l-Escaut, France. He was a French/Franco-Flemish composer and generally acknowledged as the greatest composer of the High Renaissance. Martin Luther, who had a good knowledge of music, said of Josquin Desprez, "he alone is the master of the notes, they have to do as he bids them." Indeed, Josquin was acknowledged by nearly all his contemporaries as the greatest composer of his time. If so, he stands as the first among many great musicians, for the composers of what we often term the Netherlands School created one of the richest periods in Western musical history. His contemporaries -- including Antoine Brumel (c.1460-c.1515), Pierre de la Rue (c.1460-1518) and Loyset Compère (c.1445-1518) -- and the previous generation -- led by Johannes Ockeghem (c.1410-1497) -- created a style of music that can rightly be compared to the art of Leonardo da Vinci and Michelangelo. As for Josquin himself, we know surprisingly little of his early life. We know that in the 1470s he began service in the court of Cardinal Ascanio Sforza, and that by 1489 he was a member of the papal choir in Rome. But we know nothing of his early training, or even when he came to Italy (it was believed that he came in 1459 as a choirboy in the Milan cathedral, but it seems that this was a case of mistaken identity). Later in his life he served Duke Ercole d'Este in Ferrara, and possibly King Louis XII of France. The final years of his life were spent in the town of Condé-sur-l'Escaut in northern France (possibly his birthplace). The rest of his biography is still subject to scholarly speculation. What we do know is just what Josquin's contemporaries knew: that he created wonderful music. What stands out most in this music is his care for the words. This is seen in part by the way he uses imitation to allow each voice to present the text before the texture becomes too dense to be clear. He also made use of homophonic textures to give the text an added clarity. Some of his works, especially his Masses, use the older cantus firmus technique. Here he uses the borrowed melody to create a huge scaffolding upon which he constructs the other melodies. Some of these pieces display a high level of technical complexity. At the same time, he could create pieces of marvelous simplicity and elegance, as he did so often in his motets and chansons. Sergei Pavlovich Diaghilev lived from 1872 until 1929. He was a ballet impresario, born in Novgorod, Russia. Diaghilev obtained a law degree, but was preoccupied with the arts. In 1898 he became editor of Mir Iskousstva (World of Art), and during the next few years arranged exhibitions and concerts of Russian art and music. His permanent company was founded in 1911, and remained perilously in existence for 20 years, triumphantly touring Europe. Many of the great dancers, composers, and painters of his period contributed to the success of his Ballets Russes. He also encouraged several major choreographers (eg Fokine, Nijinsky, Balanchine), and gave them opportunities for artistic collaboration. Thea Dispeker molded operatic talent from Lauritz Melchior to Richard Leech and lived to be 97 years old. Dispeker owned a classical music artists agency for more than 50 years. In her career, she influenced musicians such as Richard Tucker, Judith Blegen, Roberta Peters and Pablo Casals, among others. In 1947, she helped found the Little Orchestra Society for children's concerts and went into business for herself. Even in her 80s and 90s, Dispeker continued to seek out young singers and musicians to promote. Her portfolio also included the Swedish baritone Hakan Hagegard. Her agency, Thea Dispeker Inc., received an International Society for the Performing Arts Foundation award of merit in 1997, its 50th anniversary year. Carl Ditters von Dittersdorf lived from 1739 until 1799. He was a composer and violinist. He had composition lessons from Giuseppe Bonno in his native Vienna and served as a violinist in the orchestra of the Prince of Sachsen-Hildburghausen, followed by a position in the imperial theatre. There followed a period as Kapellmeister to the Bishop of Grosswardein, where, in 1762, he succeeded Michael Haydn. In 1769 he became Kapellmeister to the Prince-Bishop of Breslau, at this period acquiring the patent of nobility that added to the name of Ditters the honorific von Dittersdorf. Conditions in Johannisberg, the seat of the Prince-Bishop, deteriorated in the political circumstances of the time, and on the death of his employer in 1795, he moved with his family to join the household of a nobleman in Bohemia. Erno Dohn‡nyi lived from 1877 until 1960. He was born in Poszony (now Bratislava) in 1877 and opted for further musical study in Budapest rather than, more conventionally, in Vienna, setting an example that was followed by his younger contemporary Bartók. He played a leading part in forming the musical culture of Hungary, although there were difficulties with the régime that replaced the first republican government of the country. Due to his overt opposition to the association of Hungary with National Socialist Germany, he found it necessary to spend his final years in America, dying in New York in 1960. As a composer Dohn‡nyi was versatile, continuing existing traditions of music, while as a pianist he enjoyed international fame. Opera king Placido Domingo joins the Global Music Network and serves up an aria for online listeners. Live events and interviews, along with jazz and classical clips. Gaetano Donizetti was born in in Bergamo, November 29, 1797 and died in Bergamo, April 8, 1848. Inheriting the bel canto tradition from Rossini, Donizetti's operas are today mostly admired for their many attractive melodies and fine ensembles. Although he composed over seventy operas, only a handful have remained in the general repertory, but those are generally regarded as outstanding examples of the Italian Bel Canto period. Donizetti's most famous opera is surely Lucia di Lammermoor, based on a novel by Sir Walter Scott. The plot concerns a young girl who is tricked by her brother into thinking her lover has been unfaithful to her and forces her into a marriage of political convenience. During the wedding scene, Lucia's lover makes an unexpected entrance, and all the protagonists give vent to their varied emotions in the celebrated Sextet from Lucia di Lammermoor. As was popular in Italian opera of the time, Lucia then goes mad, giving the prima donna an opportunity to display great acting and vocal skill in an extended scena. The Italian operatic tradition was continued and taken to sublime heights later in the nineteenth century in the works of Giuseppe Verdi. John Dowland lived from 1562 until 1626. He was an English composer, singer and lutenist who wrote about 90 works for the Renaissance lute, several psalm harmonizations and many sacred songs. Riccardo Drigo was born and educated in Padua but he spent most of his life - from 1878 until 1915 - among Russian royalty as conductor ot the Marinsky Theater. He lived from 1846 until 1930. Guillaume Du Fay was born on August 5, 1397(?) in Cambrai, France and died on November 27, 1474 in Cambrai, France. He was a French composer and was considered the leading composer of the early Renaissance. The fifteenth century saw the rise of a new musical style, one in which harmonies began to center on full triads and the setting of the text became an important concern to composers. Guillaume Du Fay is one of the most important figures in the transition from the medieval to Renaissance style, which took place mainly among composers associated with the rich court of Burgundy. For this reason, Du Fay and his contemporaries are usually referred to as the "Burgundian School." Guillaume Du Fay probably received his early musical training in the cathedral choir at Cambrai, in northern France. But his career took a decidedly international turn early on. By the age of twenty-five he had gone to Italy. During his years there, he worked for courts in Pesaro, Ferrara and sang in the Papal choir in Rome. During that time he also earned a degree in canon law, probably at the University of Bologna. He spent the latter part of his life back at the cathedral in Cambrai. Du Fay wrote both sacred and secular music; he is perhaps best known for his cantus firmus Masses. Before he died, he composed a Requiem Mass (now lost) to be sung at his funeral, and asked that four of the best singers from the cathedral sing his motet Ave regina caelorum (Hail, Queen of Heaven) to him on his deathbed. Du Fay's music set the tone for the Renaissance (one scholar credits him with defining the "central style" of the period). His triad-based harmonies and arching melodies create a pleasant balance of melody and harmony. In his sacred music, he changed the overall sound by a more regular use of four-voice textures. At the same time, we can still find the medieval concern with structure and isorhythm in his sacred music, especially his cantus firmus Masses. Paul Dukas' The Sorcerer's Apprentice was featured in the Walt Disney movie Fantasia and the new Fantasia 2000. Antonín Dvorák's piece, "Humoresque" became one of the most famous pieces ever written nearly overnight. It was later discovered that this could be played simultaneously with Steven Foster's "Way Down Upon the Swanee River". Dvorák, a native of Bohemia, traveled in the United States in 1892 and found American music to be "magical" and "spacious". When Dvorák visited the United States, he encouraged American composers to use their native music. He himself incorporated folk melodies into 19th century Romantic music. His compositions include Slavonic Dances, Fifth Symphony, The Water Nymph, Carnival, Gypsy Melodies. Dvorák lived from 1841 until 1904.